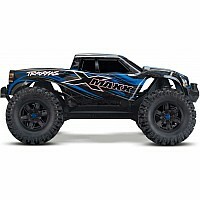 Fully Assembled and Ready-To-Race, just add batteries and charger (sold separately) Enormous Size Makes This The Largest Monster Truck Ever From Traxxas 50+mph with 2 Traxxas 4S LiPo batteries and optional pinion gear (sold separately) Traxxas Stability Management(TSM) Shaft Drive 4WD System Self Righting Feature Fully Waterproof Clipless Body Mounts Snap-Lock Battery Retainer Modular Chassis Design 8 x 4 x 4 inch all-terrain tires VXL-8s Waterproof Electronic Speed Control New GTX Shocks Needed to Complete 2 Traxxas iD-Equipped 3-4S LiPo Batteries EZ-Peak Charger 4 "AA" Batteries for Transmitter What's in the box? 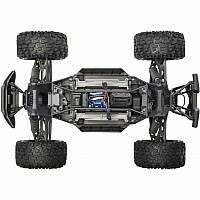 (1) Traxxas 1/6 X-MAXX 4WD Monster Truck RTR (1) TQi 2.4GHz Radio System with Traxxas Stability Management (1) VXL-8s Brushless Power System (1) Quick Start Guide Overview X-Maxx is enormous. 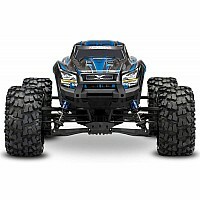 At almost 30-inches long, just over 21-inches wide, and 14-inches tall, X-Maxx is the biggest monster truck to come from Traxxas. 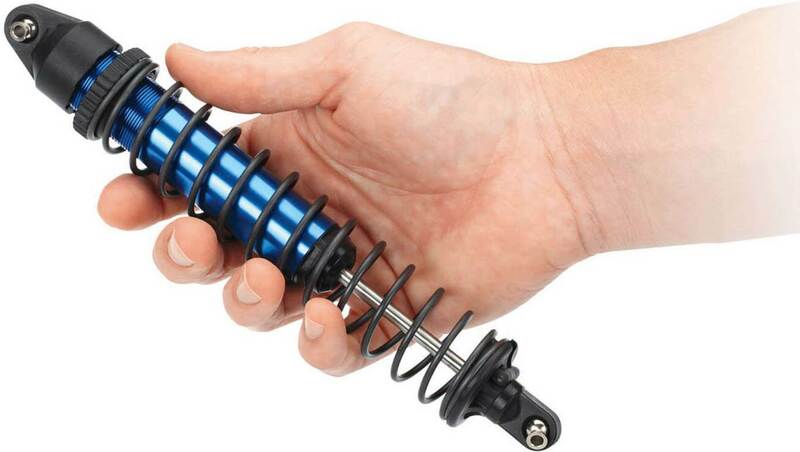 Power over and through extreme terrain with incredible ease. 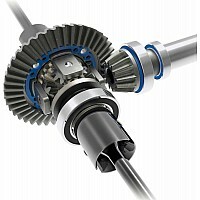 Size wins by giving you the advantage to power over and through extreme landscapes. 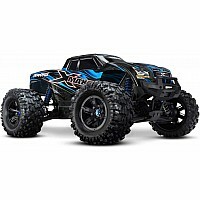 Mammoth 8-inch tall tires, long-arm suspension, and huge ground clearance dwarf the surroundings for virtually unstoppable Monster truck fun. 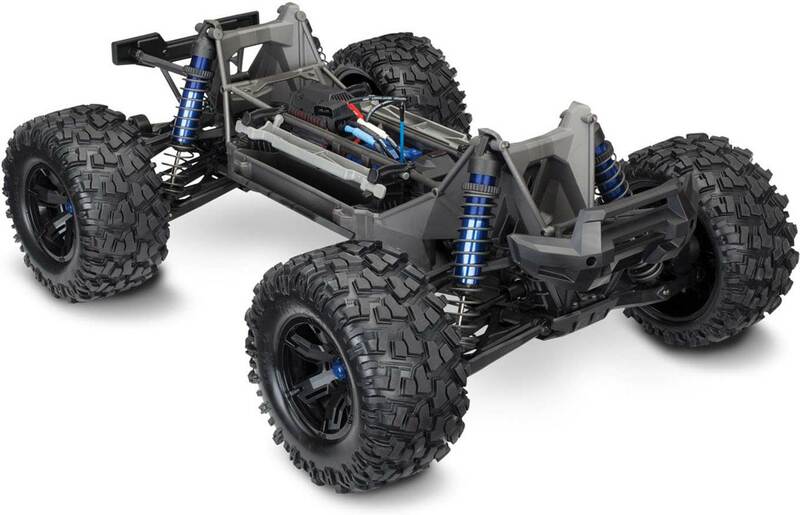 Traxxas engineers tossed out old conventions and reimagined every aspect X-Maxx to make it the world's toughest, hardest charging, Ready-To-Drive monster. 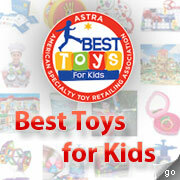 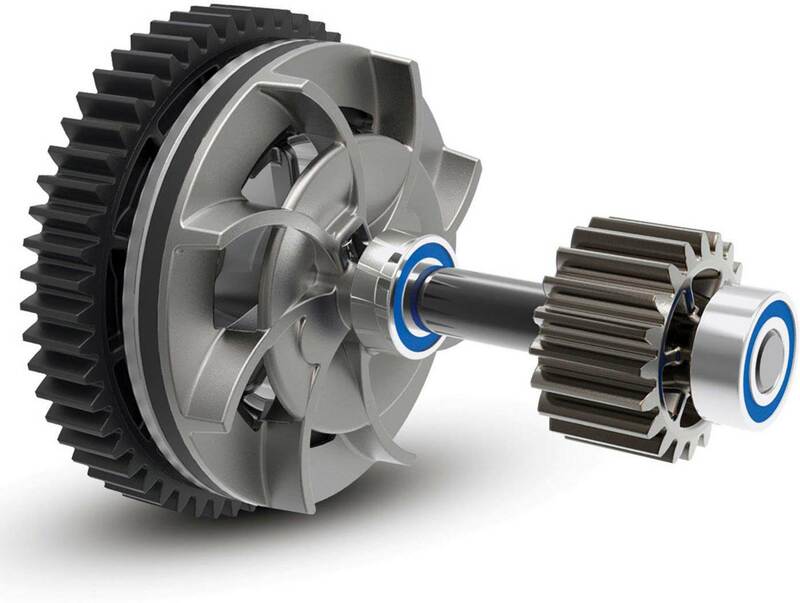 It lives to play, built for minimal maintenance and maximum drive time. 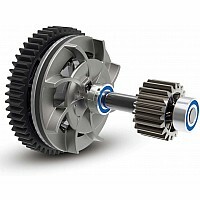 Wildly over-powered, X-Maxx stays true to form with its Maxx DNA. 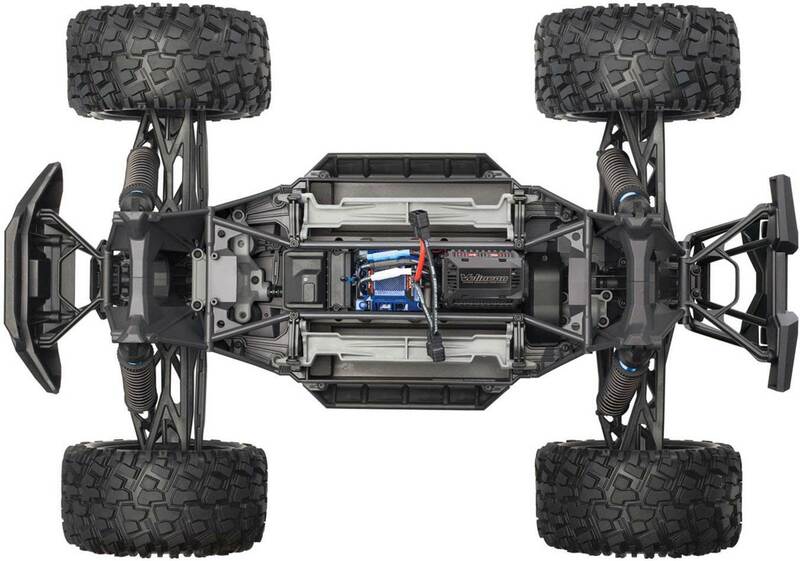 Power equals fun, and Traxxas builds in more of both than anyone. 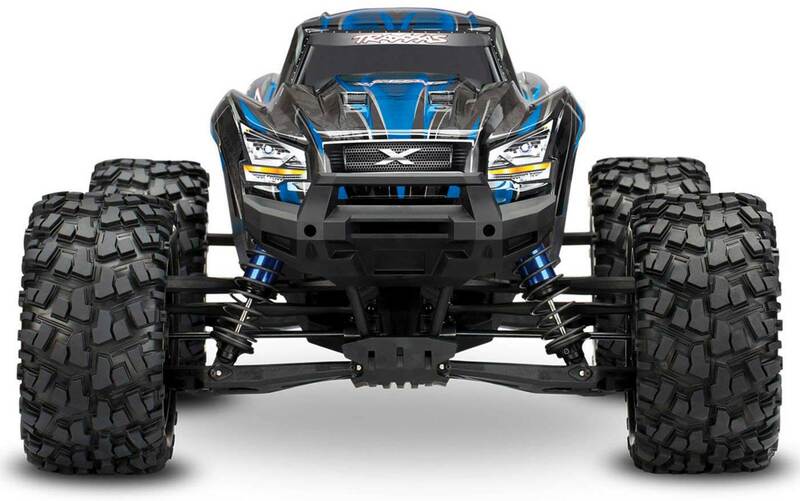 Massive Big Block brushless power and 8s LiPo muscle propel X-Maxx with a brutal authority and exacting quickness that completely defies its enormous size. 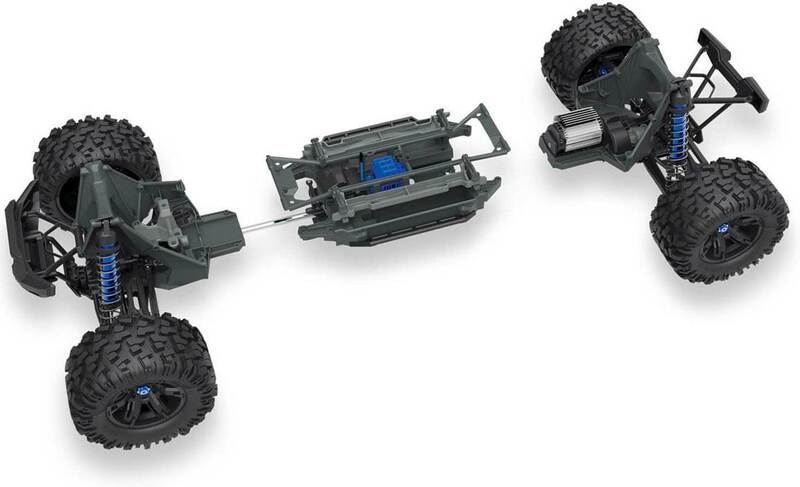 Before X-Maxx, monster trucks would sometimes roll over upside down, bringing the action to a screeching halt. 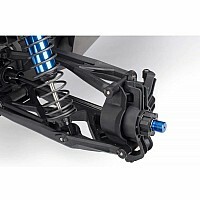 Now, press a button and in most cases this exclusive patent-pending Traxxas innovation flips X-Maxx back over onto its wheels so that you can quickly get back to having fun. 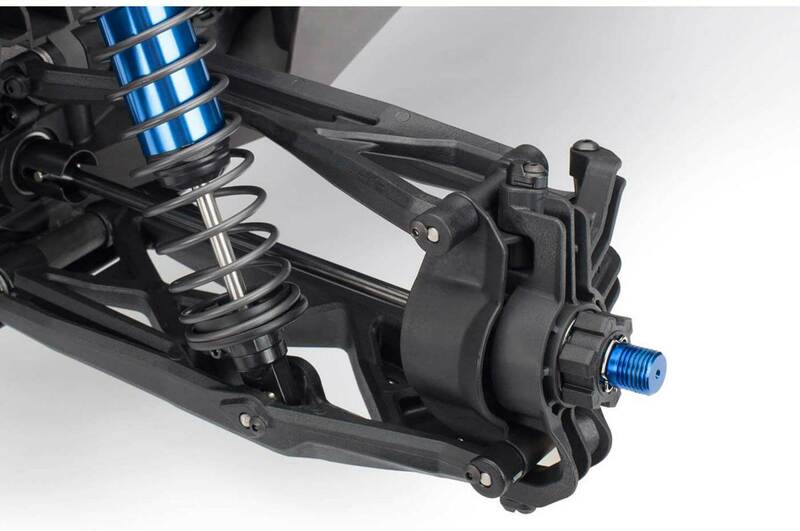 X-Maxx shock towers introduce an exclusive new Traxxas look that offers rigid, triangulated structure and an authentic off-road look that fills in the wheel openings of the truck. They also serve as convenient carry handles and provide level supports for the X-Maxx when placed upside down for cleaning. 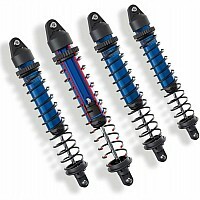 X-Maxx's long-travel, super-plush feel is assured with four enormous high-performance oil-filled GTX aluminum shocks. The large oil volume dissipates heat for all-day shredding, while an integrated wiper seal keeps the shafts clean and reduces seal wear for long life.